Wireless TENS Unit with the same technology used by doctors. 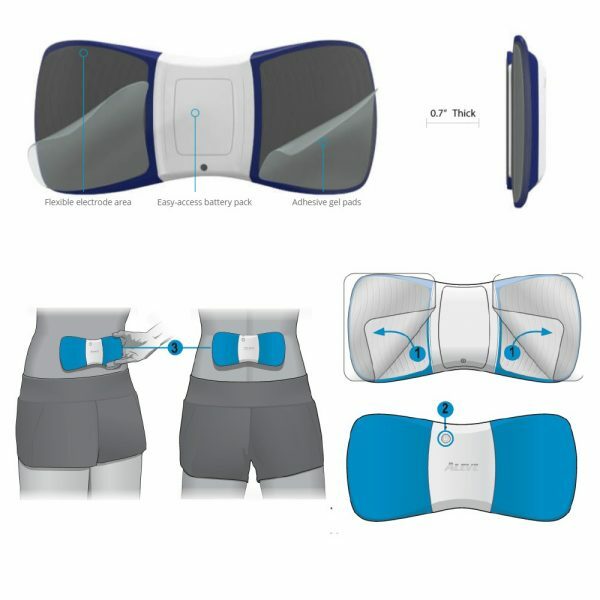 Patented state of the art technology makes it discreet, flexible, durable and easy to use anytime. 15 adjustable intensity levels and no prescription needed. 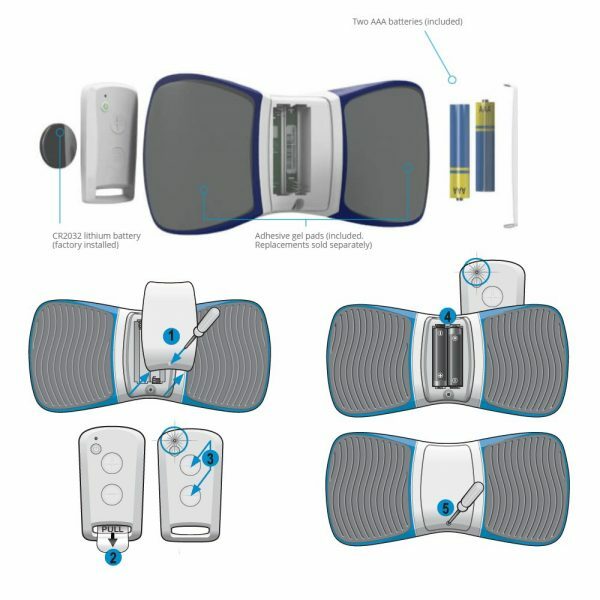 Included: Wireless with hand held remote, batteries, gel pads, screwdriver. 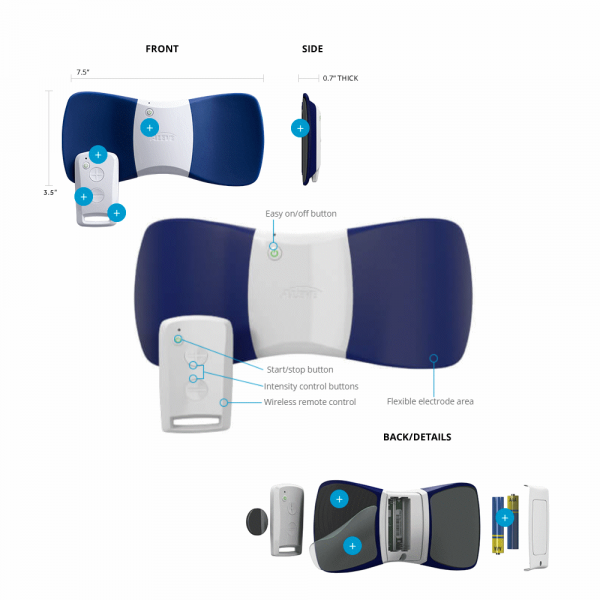 Special package includes extra gel pads! 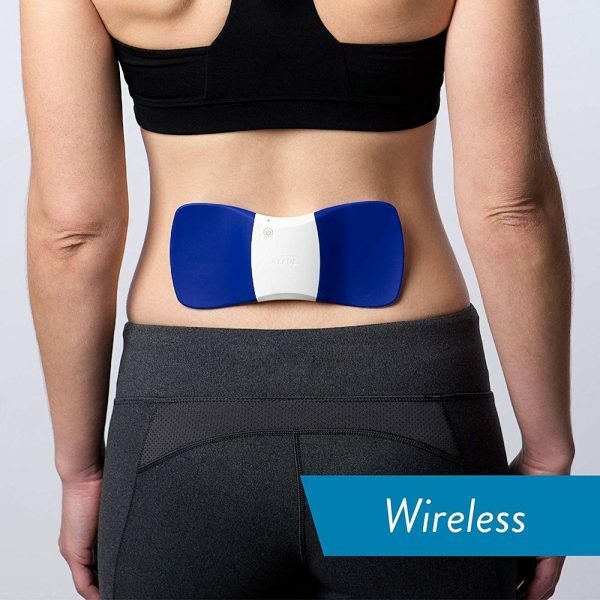 The Wireless TENS Unit is a method to apply electrical stimulation through the skin for relief of lower back pain. 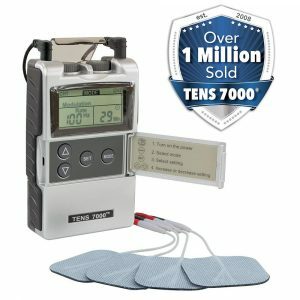 The effects are achieved through direct stimulation of nerves and muscles and indirectly through producing chemicals which circulate to assist in pain relief called endorphins. 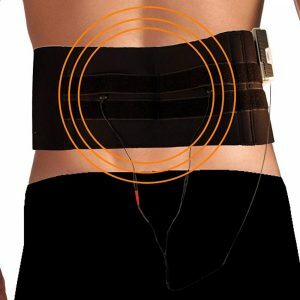 This can produce not only relief right away, but relief that last for 3 to 4 hours after use. Using a sleek and comfortable flexible construction, it can easily be worn under clothes and the side portions are soft, which enables it to conform to your shape and maintain better contact to transmit the stimulation for maximum benefit. 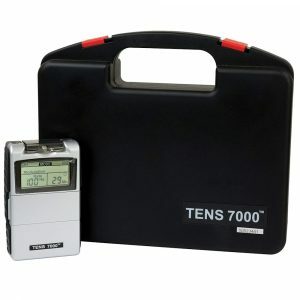 Efficient technology provides 4500 minutes (75 hours) of use with just 2 quality AAA batteries. 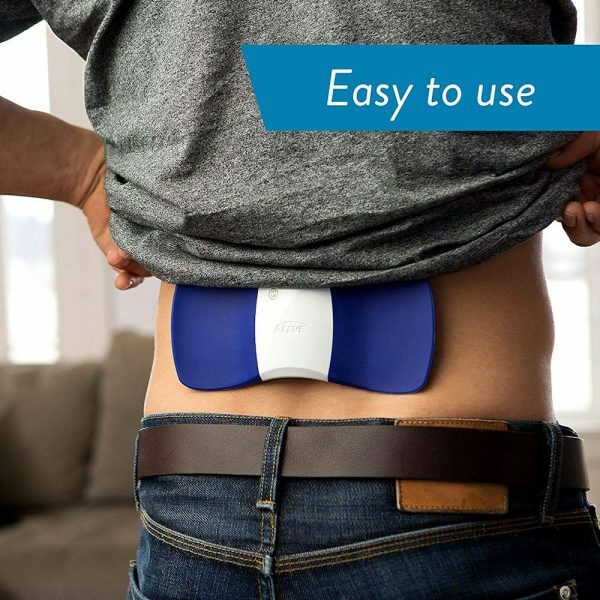 Offers a solution for back pain that uses no drugs with no side-effects. Being wireless, there are no wires to get tangled or that will get damaged or lost. The compact design makes it great for traveling wherever you go. Easy to replace gel pads feature a smooth contact for the skin. 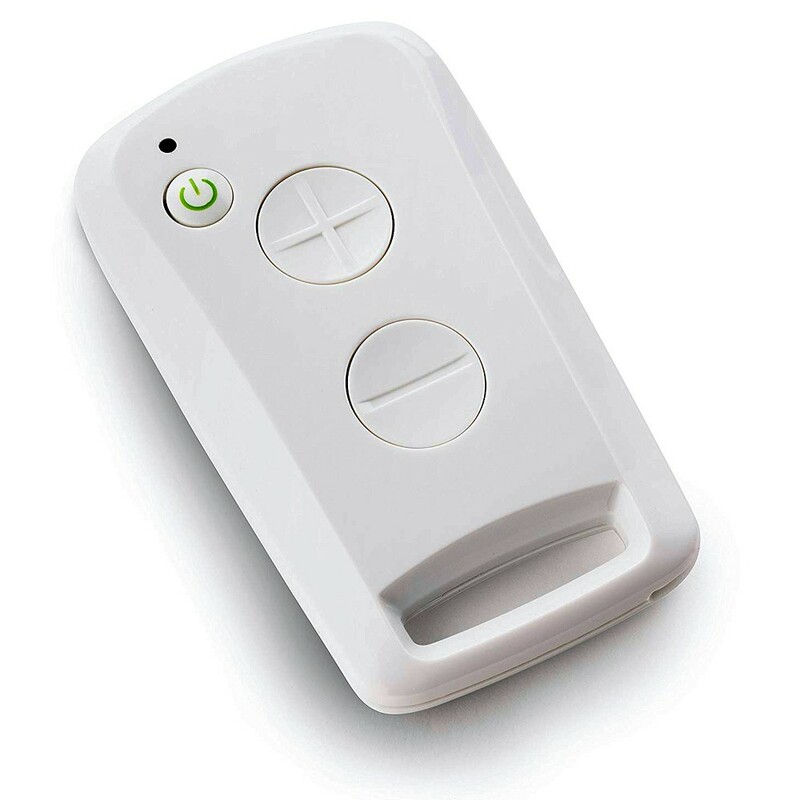 A small remote control with 3 buttons is easy to use for fine and varied adjustments to accommodate different pain levels. 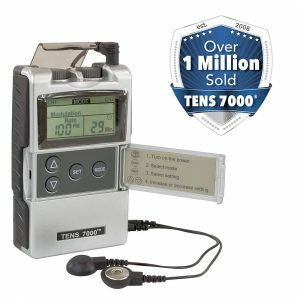 The timed control provides up to 30 minute treatment sessions. 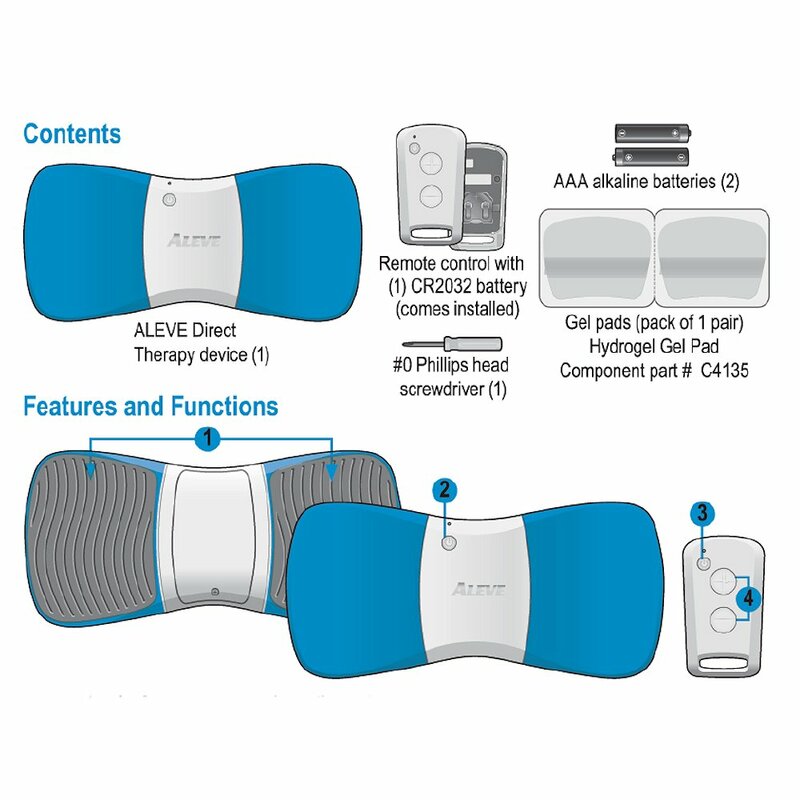 The remote uses a long lasting lithium battery and the wireless tens unit weighs just 4.8 ounces. No belt clips or keeping it in your pocket, no messy gels and the total length is 7.5 inches and 3.5 inches at its highest. You do not need a prescription to use it, however, it should not be used during pregnancy. 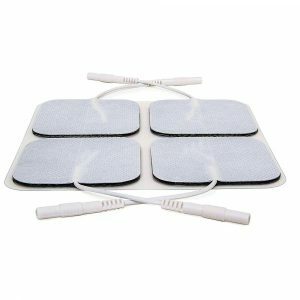 It is meant strictly for lower back pain and should not be used on other body areas, when sleeping or driving. 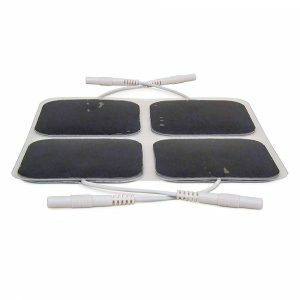 It applies stimulation through gel pads, which are easily removed and placed on the unit. On average, a gel pad will last for 3 to 5 uses. This depends on factors relating to skin condition and factors such as humidity. Excessive sweating, using skin moisturizing agents or having oily skin can reduce the amount of applications per gel pad, so it is important to make sure the skin is clean and dry prior to application. A pack of gel pads, which are included, can last for up to 25 applications, being placed back on their plastic storage pack after each use.